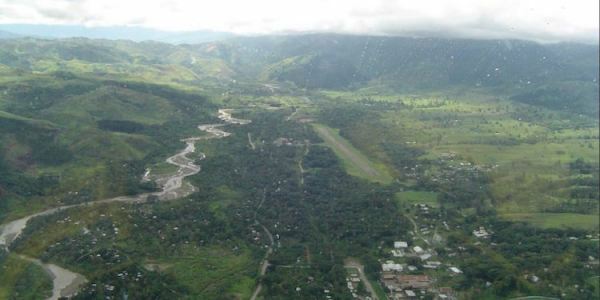 THE Bulolo district administration is strongly opposing a licence for exploration activities near the town because the land had been damaged by past explorations, Administrator Tae Gwambelek says. The administration is supporting the move by the business community and PNG Forest Products (PNGFP) after the Mineral Resource Authority (MRA) issued EL2544 to the Wabu Alluvial Mining company (WAM). Administrator Tae Gwambelek said Australia had done enough damage to land in Bulolo leaving behind huge craters on which the township was built. “History will never be repeated again,” Gwambelek said. Gwambelek said the Bulolo district development authority also acquired an exploration licence from MRA to conduct explorations outside Wau and Bulolo towns. “How on earth, will MRA issue the EL 2544 to WAM to conduct explorations within the town? It is illogical,” he said. “Bulolo town is not an exploration area and we totally object to the idea. “We have PNGFP, National Forest Authority, University of Bulolo, Telikom Exchange, district administration office, police and courthouse and many small businesses operating in town and paying taxes to the government. He said as the district chief executive representing 102,118 people in 324 villages and 108 wards, the idea was 100 per cent rejected. He said the scheduled warden hearing on Nov 28, would be facilitated in front of the district headquarters to allow people to air their views. Bulolo business representative Aaron Akui urged Minister for Mining Johnson Tuke and MRA chief executive Philip Samar to review the decision.